Here’s an idea of what I’m reading presently and what books have been influential in my life…. The Vein of Gold: Journey to Your Creative Heart by Julia Cameron. Very important, helpful and insightful book for all artist who struggle to find their voice and overcome the typical creative blockages. Lincoln on Leadership: Executive Strategies for Tough Times…..very insightful. wonderful to read about leadership qualities couched in such an interesting historical context….and to learn so much more about Lincoln and the Civil War period. Centering Prayer and Inner Awakening by Cynthia Bourgeault Very enlightening book for those who are interested in deepening their concept of prayer into the realms of meditation and contemplation. You can read my blog post pertaining to this book here and here and here and here and here and here. Help. Thanks. Wow: Three Essential Prayers by Anne Lamott….Nice little book if you’re looking for an authentic, gut-real view of prayer. Here’s a page of good quotes from the book. Eckhart Tolle’s A New Earth: Awakening to Your Life’s Purpose has been very enlightening. Here are some quotes. I’m actually re-reading it now. An easy winter read has been Have a Little Faith by Mitch Albom (Tuesdays with Morey)…thanks to Laura L. for the lend…..quite clever writing to make a story about an old Jewish rabbi interesting. 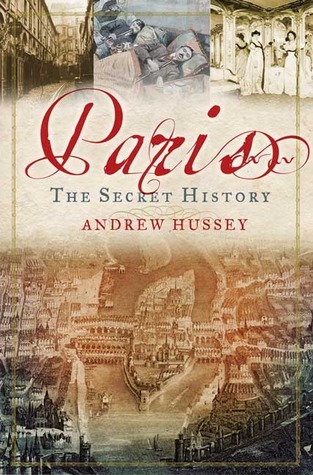 I’ m wading through a rather thick book…Paris, the Secret History, by Andrew Hussey. I must admit that I have to lay it aside every from time to time because it can get quite depressing…despite the glory and splendor of present day Paris….there has been a LOT of heartache, misery and bloodshed to get to this point. I really enjoyed reading The Night Circus by Erin Morgenstern this past summer. Amazing imagination to invent such a magical circus world. Thanks to my youngest daughter who gave it as a Christmas gift. I have enjoyed the first of a series of children’s books (originally in English, but I’ve chosen la version française) called Les Enfants de la Terre or the Earth’s Children series. My friend, Wilfred in Montreal recommended this series to me and it fits well with my interest in prehistoric things and my recent visit to the cave paintings of SW France. 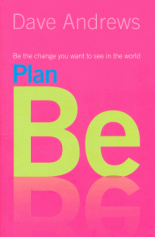 Sanan and I are read through in the mornings….Plan BE by Dave Andrews. We saw this Aussie at the Greenbelt Festival in England last summer and were touched by his simplistic, holistic approach to spirituality. I also finally got around to reading Chasing Francis by Ian Morgan Cron,…My friend Keith loaned it to me over a year ago….really touched me, the story of a burnt out pastor of a megachurch who learns about the spirituality of St. Francis and how that rocks his world. My recent post called We are all meaning-seekers comes from this book. As a sidebar…I was reading through his blog the other day when I realized we were at the same conference in New Mexico back in 2009. Sanan and I read aloud in the mornings over breakfast The Spirituality of Imperfection: Storytelling and the journey to wholeness, by Ernest Kurtz and Katherine Ketcham. UPDATE: Really enjoyed this book….deals a lot with the spirituality behind the AA movement. 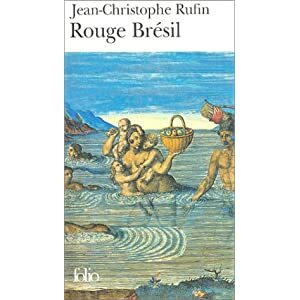 En français, I read Rouge Brésil par Jean-Christophe Rufin, which is about the French attempt at colonizing Brazil. It won the Prix Goncourt 2001. UPDATE: really enjoyed this book, Rouge Brésil and the author as well. A friend has recommended another one to me. I was particularly interesting in this fictitious account, that the chief of the Indians in the area of Rio de Janeiro, lived in my old neighborhood of Tijuca.